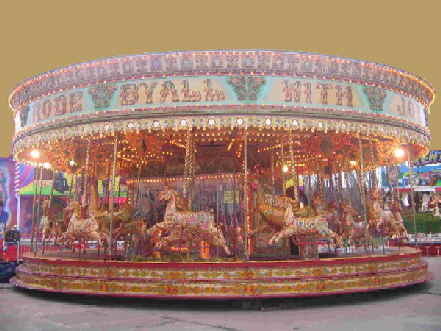 The most ornate and impressive attraction on the fairground. Most of these rides are over 100 years old and all are decorated to an incredibly high standard. Some examples are available with authentic organs as a centrepiece, and we still have a steam powered example in regular use. A modern take on an old classic. 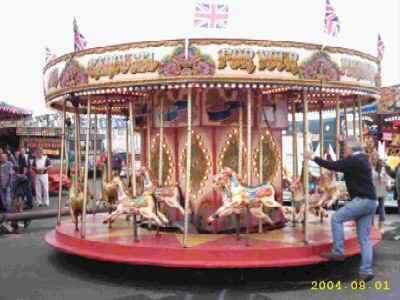 This is a faithful replica of a Victorian carousel, recreated in mini format especially for the children. There are only 6 examples of this ride in the U.K. so they are booked up pretty quickly.